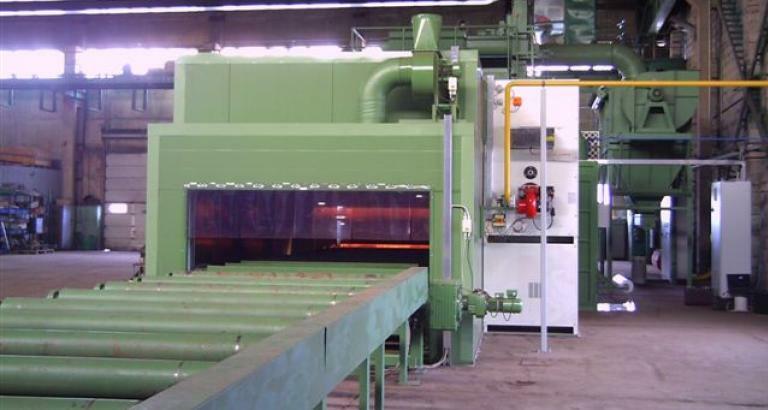 Preservation line usually consists of the following components: inlet cross transfer conveyor, inlet roller conveyor, preheating chamber, shot blasting machine, painting booth, slat conveyor, drying chamber, outlet cross transfer conveyor. 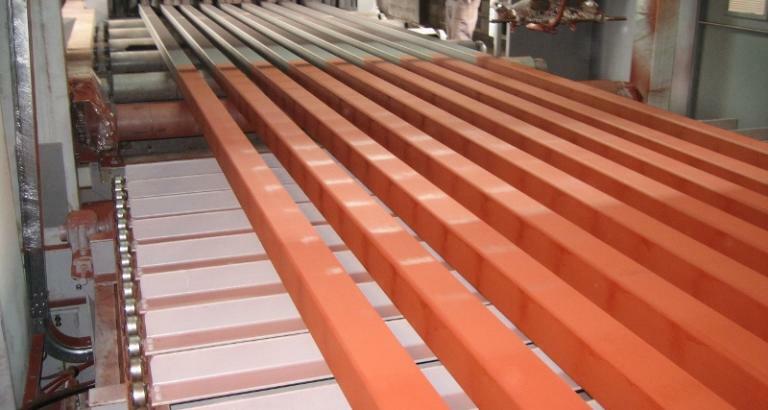 Primary purpose of preservation line is protection of sheet metals and sections with application of a thin layer of basic coating at the storage and processing phase as a temporary protection, and for basic colour application before final colour application. 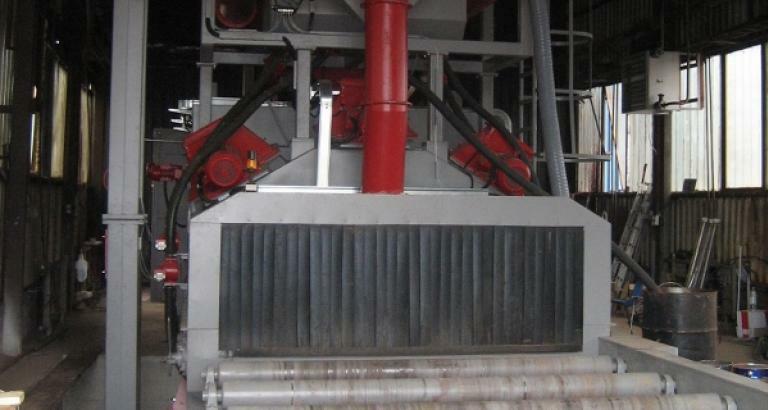 In the preservation line can be integrated different types of machines, like Roller conveyor shot blasting machine (P type), Tube / Pipe and solid bars shot blasting machine (PC type) and Continuous shot blasting machines with overhead conveyor (VPP type). 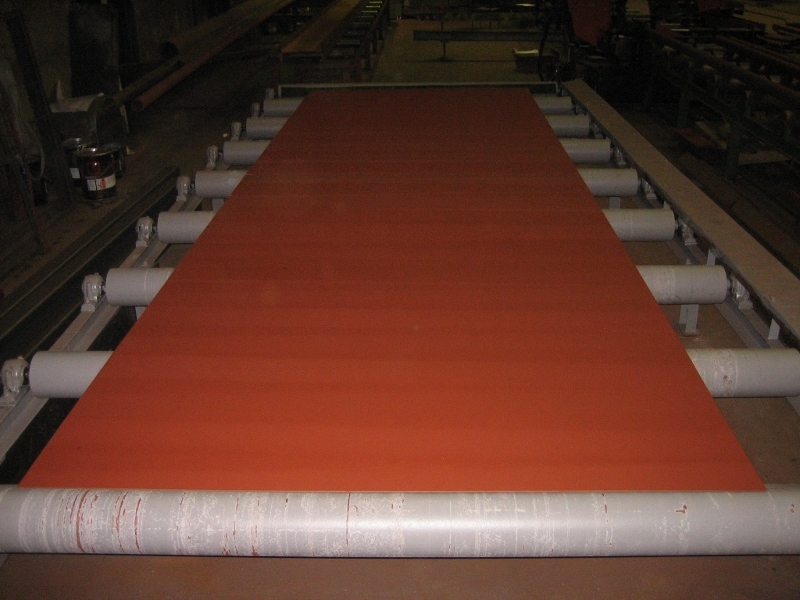 Work pieces are loaded on the inlet cross transfer conveyor or inlet roller conveyor along which they move to preheating chamber, where they are dried and heated before the blasting process. 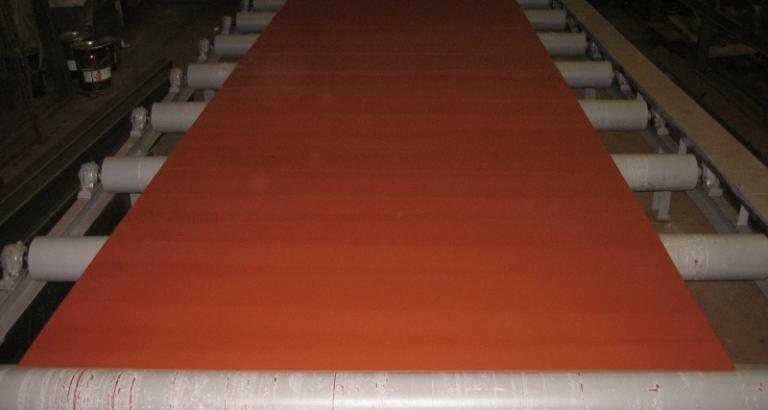 After finished blasting process in the shot blasting machine, coating is applied in the basic colouring chamber. Then work pieces are transported to the drying chamber. 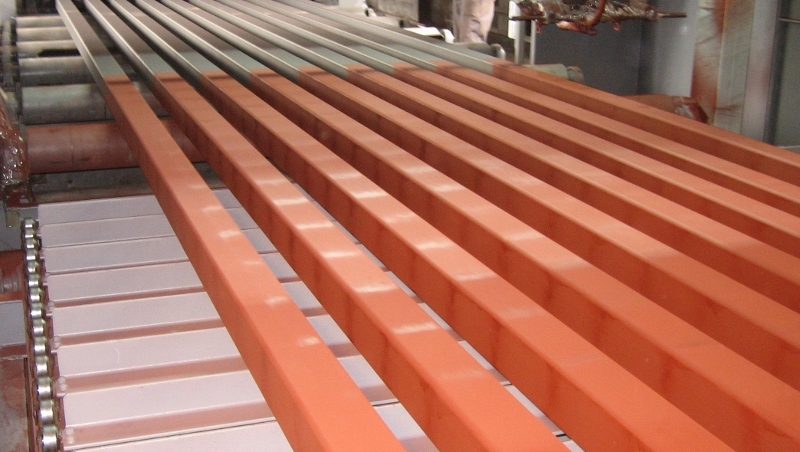 After drying they move along the roller conveyor to the cross transfer conveyor.